I would like to take credit for this, but hubby actually created this deliciousness for me. I did help eat it though! 1. Pop popcorn and place in a bowl. 2. 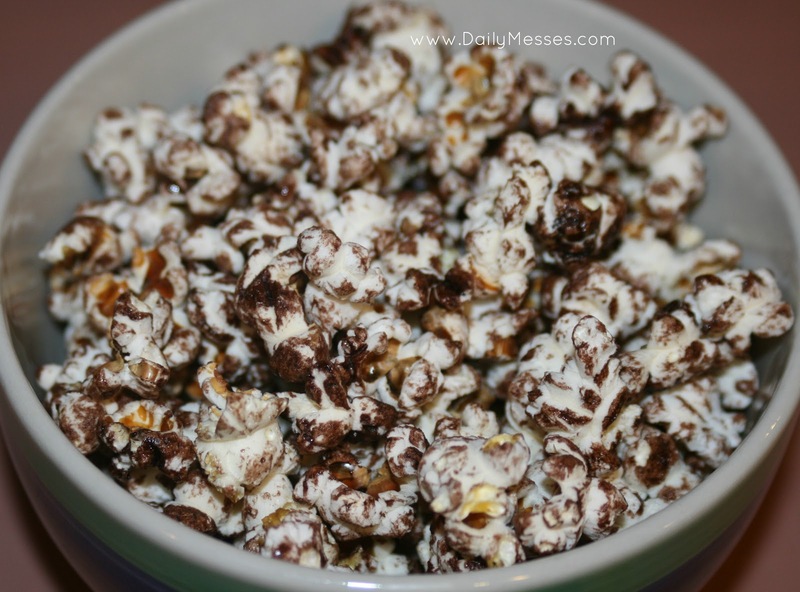 Drizzle chocolate syrup over the popcorn and toss to coat. 3. 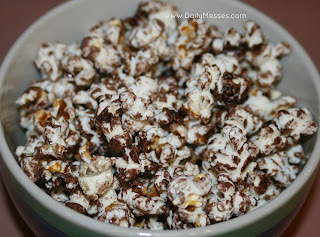 Spread on a cookie sheet and bake at 150 degrees F for about 10 minutes, or until popcorn is not sticky. Be careful not to burn the popcorn!